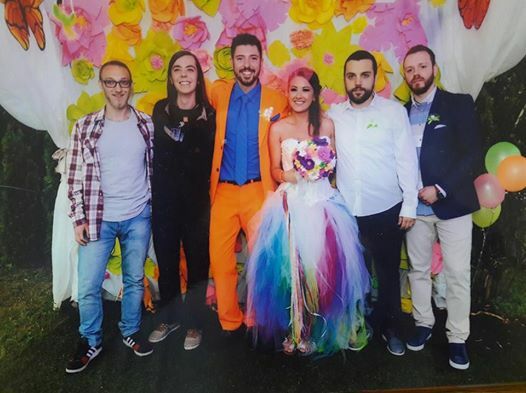 Last week-end, our beloved Mara (Psylocybe/Suntrip) who's helping us a lot on our promotion, and Damir aka DaPeace, Suntrip DJ, got married. And it wasn't the usual wedding. 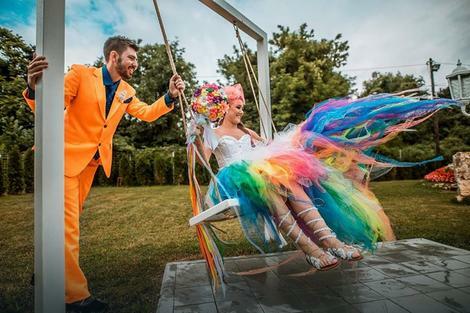 Mara was wearing a white and rainbow-colored dress, whereas Damir's outfit was mainly fluo orange! And the guests got a treat on the dacefloor with performances from Imba, Cosmic Dimension and Celestial Intelligence. This was so amazing the videos are making their way around the technosphere! We wish Mara and Damir the very best for the rest of their life (and beyond) !